What is the Attorney General Virginia? The Virginia Attorney General is a legal and administrative position undertaken by the appointed individual serving as the primary attorney – or lawyer – on behalf of the State of Virginia. The Attorney General Virginia is an executive office in the state’s government; the Virginia Attorney General is elected to a four-year term in the year following the presidential election. The state, according to its constitution, places no term limit on the number of terms an individual can serve as Attorney General. What does the Attorney General of Virginia do? The Attorney General Virginia provides legal advice and representation in court for the Governor and the state in general. The Virginia Attorney General defends the state in cases or criminal appeals and suits filed against the state. 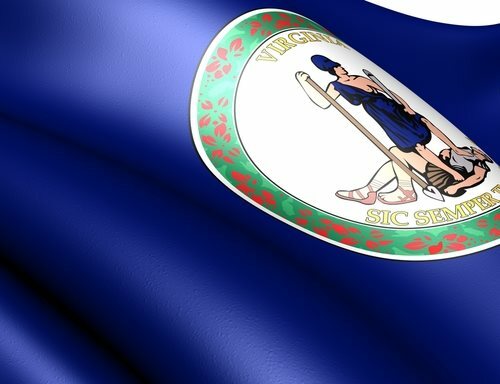 In addition, the VA Attorney General will defend the constitutionality of state laws and collect money owed to various public departments or institutions. In order to fulfill these various responsibilities and duties, the Attorney General Virginia oversees one of the largest law firms in the state. The current Virginia Attorney General is Republican Ken Cuccinelli. Mr. Cuccinelli, before assuming office, was a Republican member of the Senate of Virginia, representing the 37th district in Fairfax County. A Republican convention nominated him to run against Democrat Steve Shannon for the Attorney General post in the 2009 election. Cuccinelli received a B.S. in Mechanical Engineering from the University of Virginia and a J.D. from George Mason University School of Law. Cucinelli has served on a number of state commissions including: the Virginia Alcohol Safety Action Project, The Public/Private Partnership Advisory Commission, and the Commission on the Prevention of Human Trafficking and the Virginia Supreme Court Commission on Mental health in the Justice System. The Attorney General of Virginia presides over an executive department administered in Richmond. The department oversees numerous public services, including processing Virginia State Identification Cards, administering the Virginia Criminal Justice Data Center, running the Missing Child Center, the Child Support Enforcement Agency, the Children Task Force, Tobacco Enforcement Unit etc. The Virginia Attorney General’s Office is located at 900 East Main Street in Richmond, Virginia 23219. The Office may be reached via telephone at 1-800-451-1525. For individuals interested in contacting the Medicaid Fraud Control Unit the telephone number is 1-800-371-0824. Furthermore, the Consumer Assistance hotline can be reached at 1-800-552-9963.